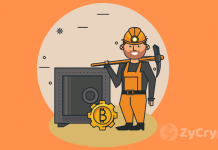 Since the surge in the price of Bitcoin and the altcoins, cryptocurrency mining has become quite a lucrative business. Hackers too don’t want to be left out of the crypto craze. They now install their crypto mining malware on the internet and on internet-enabled devices like Smart television sets and Android phones. Chinese cybersecurity professionals at Netlab360 have found hackers turning internet-connected gadgets into Monero mining tools. CNET has reported that hackers have installed malware on thousands of Android phones and smart TVs that use the resources of these devices to mine the Monero altcoin. 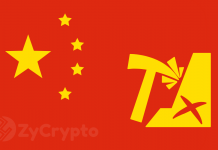 Chinese cybersecurity researcher at 360Netlab, Wang Hui, wrote in a blog post, stating that a cryptocurrency malware known as ADB-Miner has started spreading fast. The Malware works like worms and uses the ADB debug interface on port 5555 to multiply. In essence, the malware exploits the open port which is a part of the operating system that allows a device to communicate with the internet. The cyberpunks searched for devices connected to the internet via port 5555, and this helped them find unsecured Android phones and TVs. The ZDNet team contacted Google for a comment on the incident, but Google which owns the Android operating system did not immediately respond to the request. 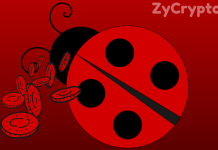 Cybercriminals are now looking for ways to utilize crypto miners. Although not for fraudulent purposes, it is important to safeguard your mobile phones and other internet enabled devices with updated versions of anti-malware programs.